UTV or quad brakes lead a low life. They are right down in the dirty, and they don’t get the attention they deserve. Take care of them and they will take care of you. 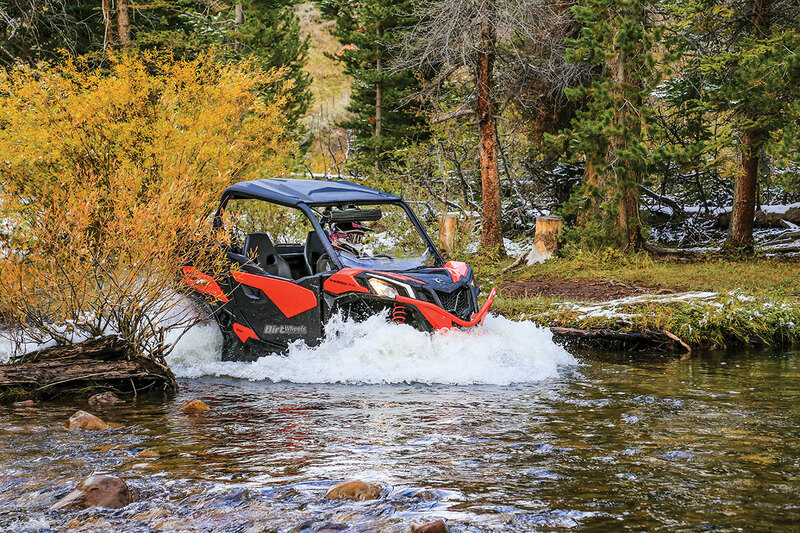 In the December 2018 issue, we showed how to install new brake rotors on a Polaris RZR. 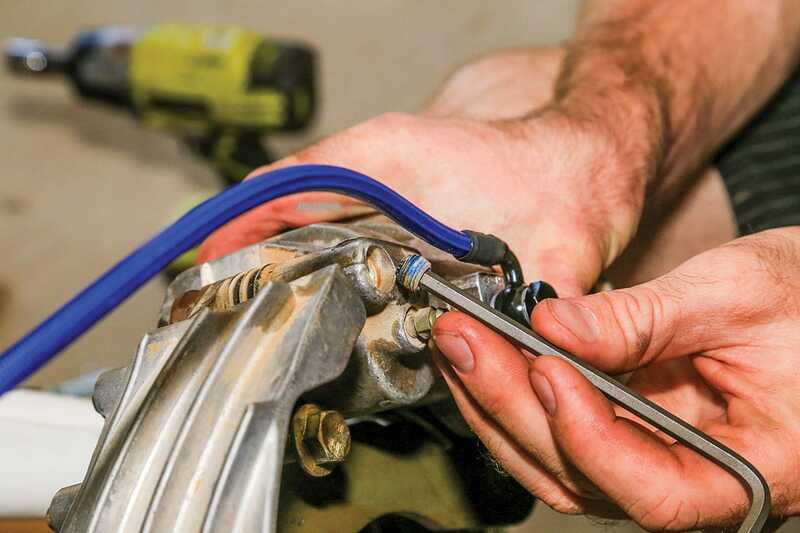 In this issue we install new brake lines and brake pads. 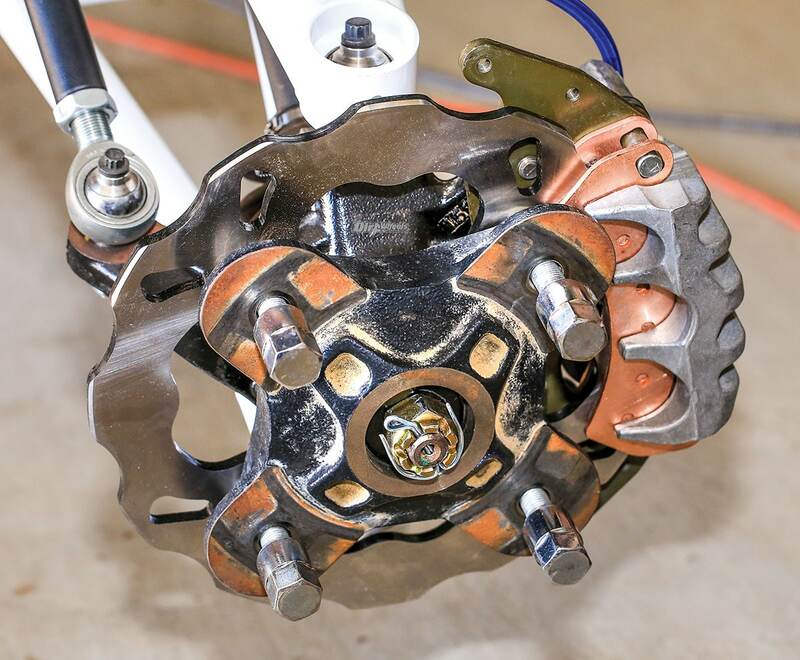 You change brake pads routinely for wear, or less frequently because you are looking for different brake performance. 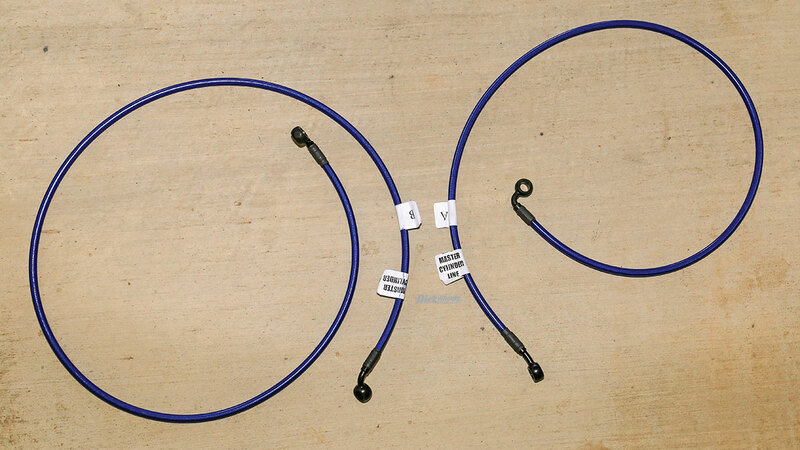 Brake lines are a different story. 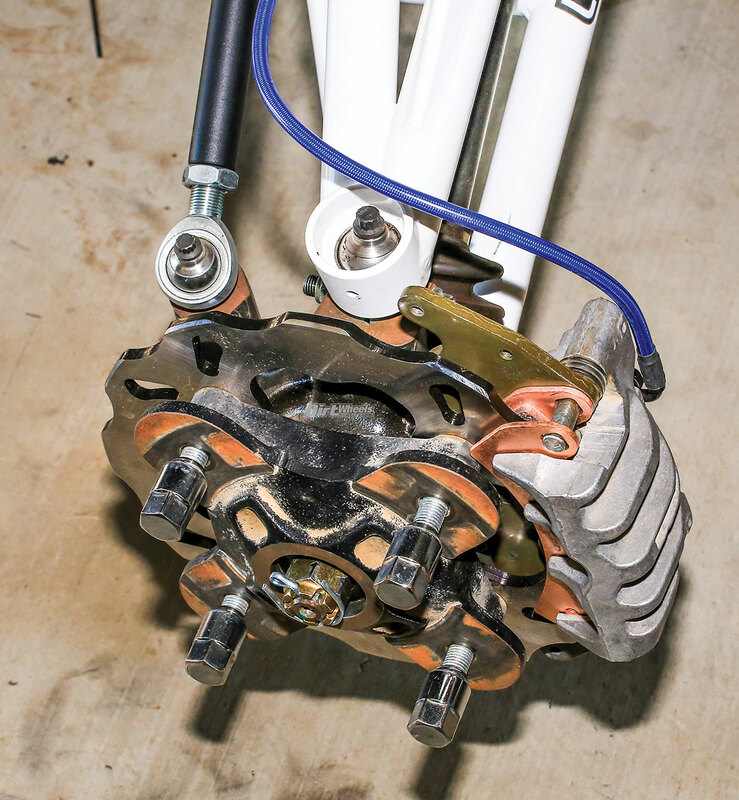 They do get damaged and need to be replaced, but most often you change brake lines to change to a different brake feel. Or, like us, you have changed to wider suspension and you need longer lines. 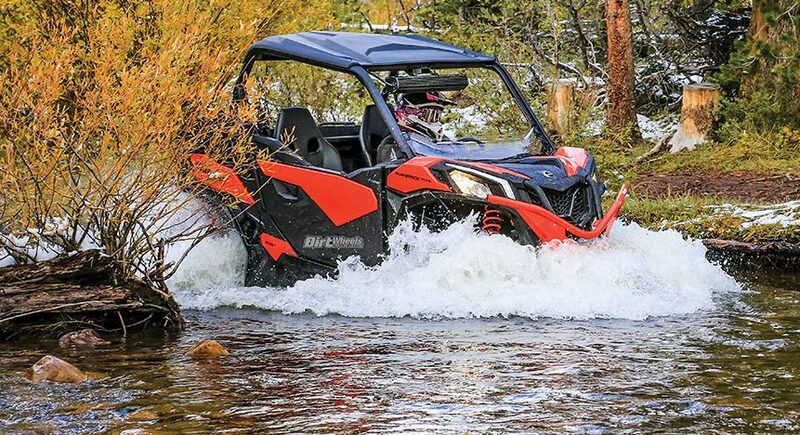 The basic idea for these swaps should be close to the same on any UTV, but make sure to check the manual for your machine before you start spinning tools and tossing parts. After you finish the install, take some time to drive the car lightly using the brakes easily and letting the brakes cool off often. That will properly seat the pads to the rotor surface. Street cars like 25 to 50 miles before you do any full-power stops. You most likely won’t have that kind of time, but do what you can. Your brakes will appreciate the extra care. 1. 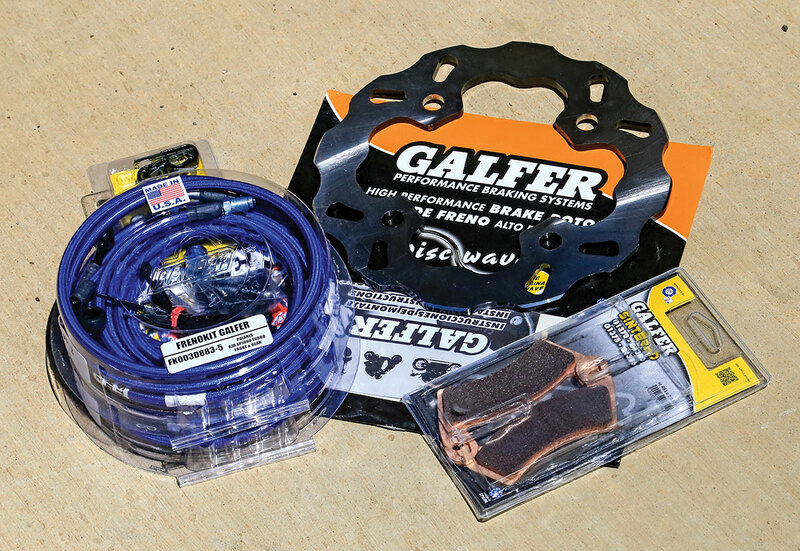 We swapped to quality aftermarket Galfer products to boost performance and work with our LoneStar Racing long-travel suspension. The instructions would be the same for any aftermarket brand or for stock parts. 2. Unpack the lines and get them separated. The Galfer lines are perfectly labeled, so that task is easy. 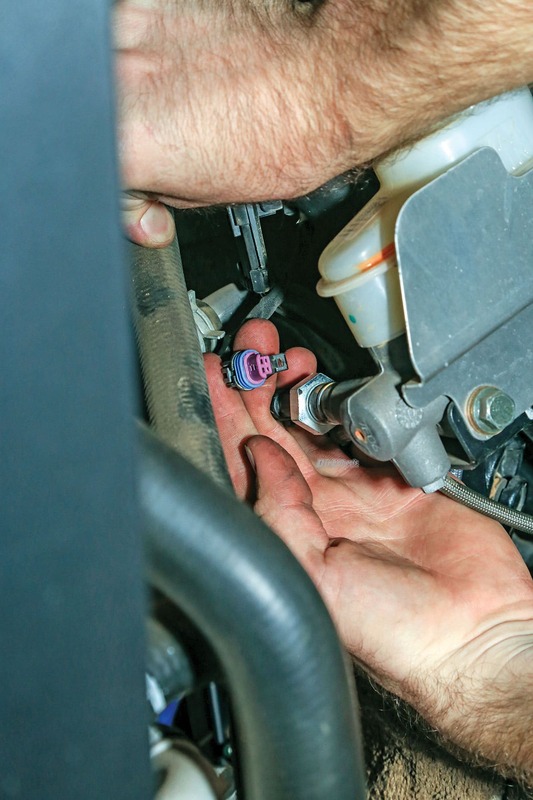 Once you disconnect the lines, you will be dealing with leaking and draining brake fluid, so you want to be able to work quickly but properly and have catch pans to round up the fluid. 3. 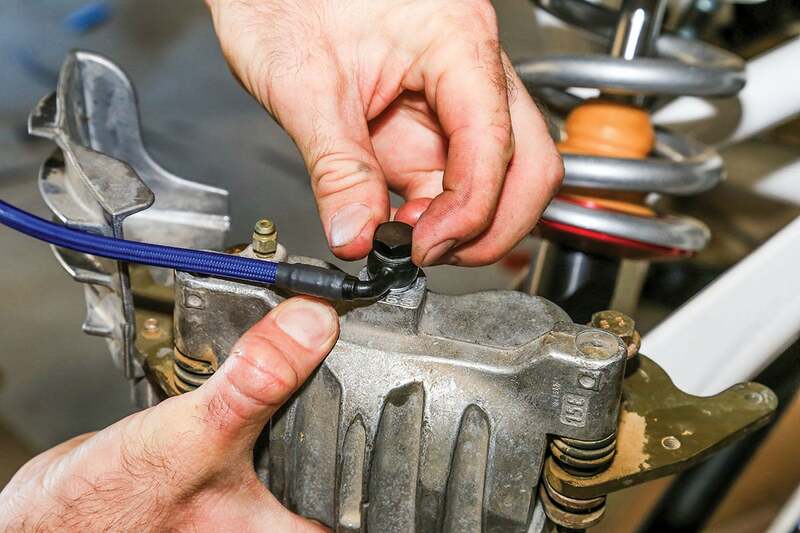 You will need to disconnect the brake light wiring connector from the master cylinder before you can remove the brake lines. The master cylinder is on the firewall behind the driver’s side front wheel. We removed the wheel and the shock to gain work room. 4. 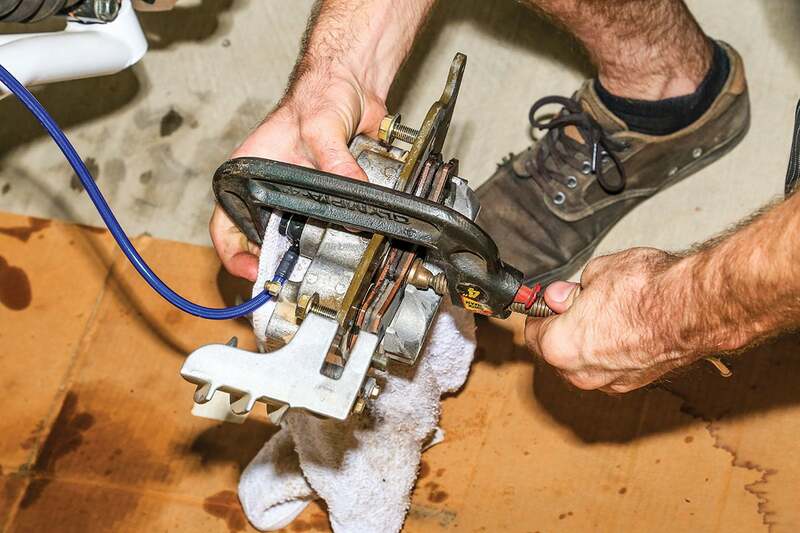 Once the lines are removed from the master cylinder, you can break loose the banjo bolts on the brake calipers. These bolts are a normal thread, so it shouldn’t be a big deal to remove them. You may need to reuse the bolts. 5. Galfer’s lines come with new aluminum bolts for all of the caliper connections. The banjo fittings get a new aluminum (or copper) crush washer on each side. Crush washers should not be reused. 6. Since the new bolts are aluminum, we made sure to get the threads well-started by hand before we used any tools on them. Make sure to use the recommended torque for these fasteners. 7. We waited until all of the brake lines were back on before we removed the old brake pads. We didn’t want to risk getting brake fluid on the new pads. Use a C-clamp on the pads to push the caliper pistons in. 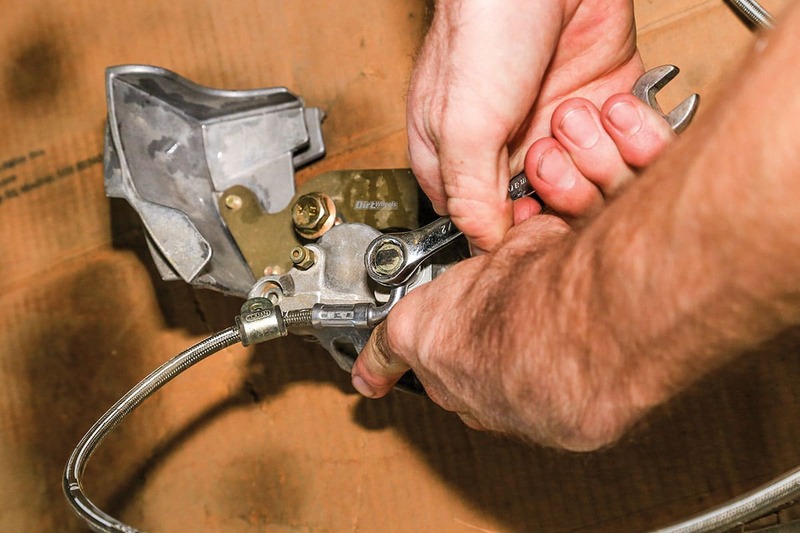 Make sure that the master cylinder doesn’t overfill while you are doing this. 8. We wanted you to see this screw. It does not need to be removed, just backed off three turns. That will allow enough clearance to remove the brake pads from the caliper. 9. 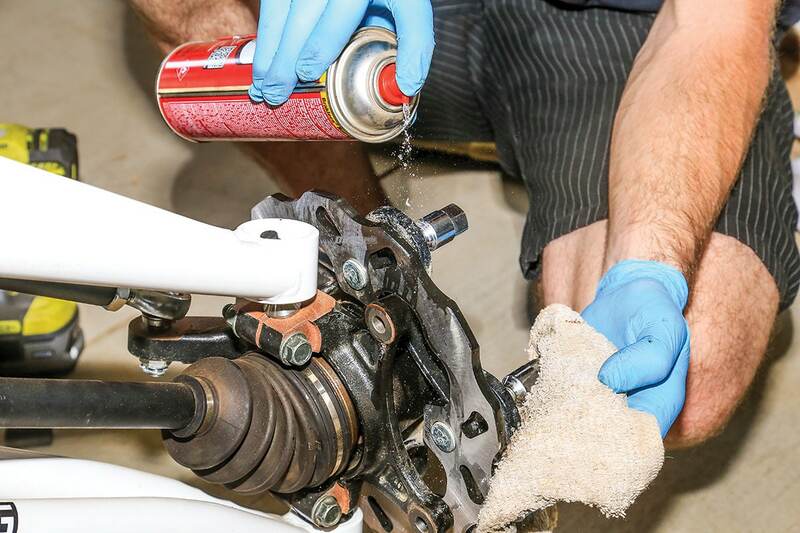 Use brake cleaner to fully clean the disc rotor and the caliper before you put the new brake pads in. Make sure that your hands/gloves are clean and dry before handling the pads as well. 10. 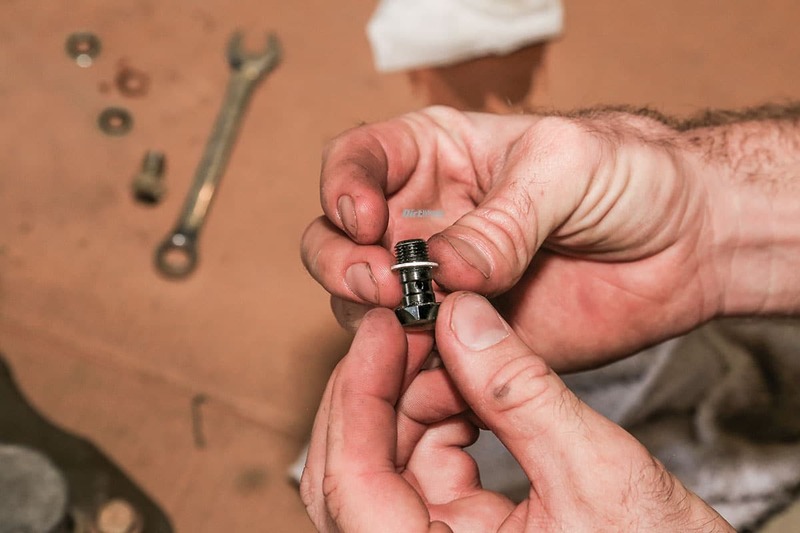 Before you install the pads, make sure that the caliper slides cleanly and smoothly on the pins that attach it to the mounting bracket. With the bracket pushed fully back, the pads should slip onto the posts that retain them. 11. One wheel is back together and fully cleaned and ready to go. The rippled edge to the disc helps clean the surface of the pads, and it keeps the disc from dishing from the heat of extreme use. 12. 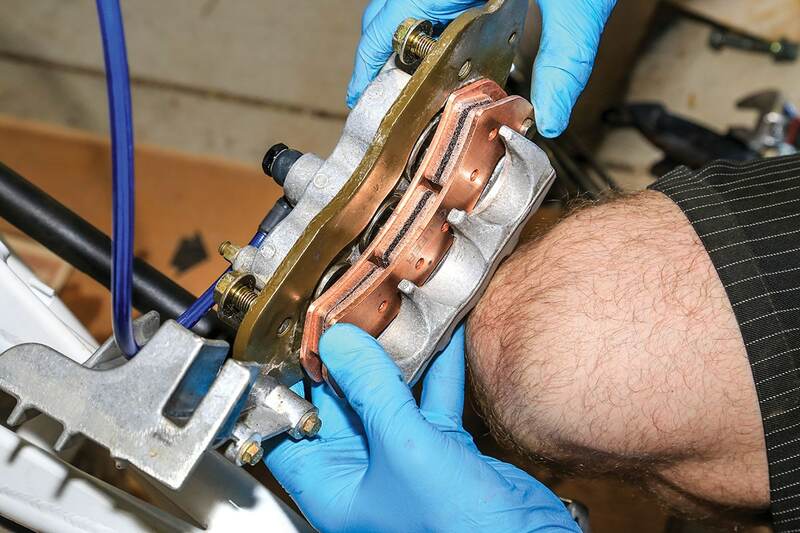 Before you reassemble any of the other parts of the car, make sure that the brake lines are run carefully and secured. There should be no interference with moving parts of the wheel or suspension.